Multiple Intelligences is what you are all about! Find out how. Multiple Intelligences is the key to understanding your own thinking skills. So why is it important to know which of the multiple intelligences you are smart at? What is the reason to know your own preferred learning style, even when you are nearing retirement? You never stop learning! You are always in a position of acquiring more knowledge and skills, whether it is how the rules of a new sport work or how to operate the tools for your hobby interest, we live in a world which is continually expanding and knowing how to get along in it makes for greater enjoyment of the ride! The other thing to consider is that traditionally our school learning is acquired through teaching methods which mostly emphasise two intelligences – Logical / Mathematical and Linguistic. Most courses, books, lectures are generally formatted to transfer insights along those intelligences. It also corresponds to the infamous IQ tests by which hands most learners who are strong in the other intelligences, have suffered greatly. Big injustices have been done to learners of all ages due to the narrow focus of IQ tests. The pain and self-worth issues created in those learning environments have remained with us. You only need to think about the nature of IQ tests and their range of skills to understand that those tests are not necessarily good predictors of success in relationships, of economic success, of happiness or success in life generally. It is only when we develop our complete range of intelligences that we are able to experience fully the richness of life’s opportunities. And it is only when learners of all ages learn the techniques that best match their strongest intelligences that they have an opportunity to achieve their full potential. Dr Howard Gardner, whose brain child the Multiple Intelligences is, puts it so well when he says: "Multiple Intelligence education is multiple chance learning. It is no longer how smart you are - but how are you smart!" By answering the following questions, you will be able to gauge which forms of intelligence are your strongest and weakest. 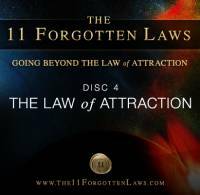 This will enable you to focus on making sure you make the most of your existing abilities and, if you so desire, see if you can develop some of the others. It is important to realise that most of us have a mixed portfolio of intelligences and that there is no purpose in trying to simply label someone as ‘logical-mathematical’ type or a ‘musical’ type. The checklist is designed to help you develop a fuller appreciation of the intelligences you enjoy. This is a pen and paper test. There is a hidden benefit in the test being non-automated. I have often experienced that the questions of tests like this one, are just as important as the answers. ~ From a teaching perspective it is useful to note what kind of activities are required for every intelligence, because that then means those teaching tools can be provided to stimulate that particular intelligence. ~ From a personal development angle it is also quite nice to be aware of what kind of thinking happens through a particular Intelligence's lens. Should I want to develop that intelligence as part of my own repertoire, I must begin to focus on that kind of thinking. As you assess the questions for validity, give yourself a mark for each question that you have agreement on. Each section has 10 questions. This means you will get a score for each intelligence out of 10. 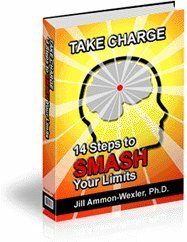 Your highest range of scores indicates your strongest thinking skills. 1. You enjoy word play. Making puns, tongue-twisters, limericks. 2. You read everything: books, magazines, newspapers, even product labels. 3. You can easily express yourself either orally or in writing, i.e. you’re a good story-teller or writer. 4. You pepper your conversation with frequent references to things you’ve read or heard. 5. You like to do crosswords, play Scrabble or have a go at other word puzzles. 6. People sometimes have to ask you to explain a word you’ve used. 7. In school you preferred to subjects such as English, other languages, history and social studies. 8. You can hold your own in verbal arguments or debates. 9. You like to talk through problems, explain solutions, ask questions. 10. You can readily absorb information from the radio or audio recordings. 1. You enjoy working with numbers and can do mental calculations. 2. You’re interested in new scientific advances. 3. You can easily balance your checkbook; do the household budget. 4. You like to put together a detailed itinerary for vacations or business trips. 5. You enjoy the challenge of brain teasers or other puzzles that require logical thinking. 6. You tend to find the logical flaws in things people say and do. 7. Math and science were among your favorite subjects in school. 8. You can find specific examples to support a general point of view. 9. You take a systematic, step-by-step approach to problem-solving. 10. You need to categorize, group or quantify things to properly appreciate their relevance. 1. You have an appreciation of the arts. 2. You tend to make a visual record of events with a camera or camcorder. 3. You find yourself doodling when taking notes or thinking through something. 4. You have no problem reading maps and navigating. 5. You enjoy visual games such as jigsaw puzzles and mazes. 6. You’re quite adept at taking things apart and putting them back together. 7. In school you liked lessons in art and preferred geometry to algebra. 8. You often make your point by providing a diagram or drawing. 9. You can visualize how things look from a different perspective. 10. You prefer reading material that is heavily illustrated. 1. You take part in a sport or regularly perform some kind of physical exercise. 3. You like to think through problems while engaged in a physical pursuit such as walking or running. 5. You like the most thrilling rides at the fun fair. 6. You need to physically handle something to fully understand it. 7. The most enjoyable classes in school were PhysicalEducation and any handicrafts lessons. 8. You use hand gestures or other kinds of body language to express yourself. 9. You like rough and tumble play with children. 10. You need to tackle a new learning experience ‘hands on’ rather than reading a manual or watching a video. 1. You can play a musical instrument. 2. You can manage to sing on key. 3. Usually, you can remember a tune after hearing it just a couple of times. 4. You often listen to music at home and in your car. 5. You find yourself tapping in time to music. 6. You can identify different musical instruments. 7. Theme music or commercial jingles often pop into your head. 8. You can’t imagine life without music. 9. You often whistle or hum a tune. 10. You like a musical background when you’re working. 1. You enjoy working with other people as part of a group or committee. 2. You take great pride in being a mentor to someone else. 3. People tend to come to you for advice. 4. You prefer team sports, such as basketball, softball, soccer, footballto individual sports such as swimming and running. 5. You like games involving other people: bridge, Monopoly, Trivial Pursuit. 6. You’re a social butterfly. You would much prefer to be at a party rather than home alone watching television. 7. You have several very close personal friends. 8. You communicate well with people and can help resolve disputes. 9. You have no hesitation in taking the lead; showing other people how to get things done. 10. You talk over problems with others rather than trying to resolve them by yourself. 1. You keep a personal diary or log to record your innermost thoughts. 2. You often spend ‘quiet time’ reflecting on the important issues in your life. 3. You have set your own goals - you know where you’re going. 4. You are an independent thinker - you know your own mind, make up your own mind. 5. You have a private hobby or interest which you don’t really share with anyone else. 6. You like to go on outings by yourself, like fishing or taking a solitary hike. You’re happy with your own company. 7. Your idea of a good vacation is an isolated hilltop cabin rather than a five-star resort and lots of people. 8. You have a realistic idea of your own strengths and weaknesses. 9. You have attended self-improvement workshops or been through some kind of counseling to learn more about yourself. 10. You work for yourself - or have seriously thought of "doing your own thing." 1. You keep or like pets. 2. You can recognize and name many different types of trees, flowers and plants. 3. You have an interest in and good knowledge of how the body works - where the main internal organs are, for example, and you keep abreast on health issues. 4. You are conscious of tracks, nests and wildlife while on a walk and can ‘read’ weather signs. 5. You could envision yourself as a having a life close to the earth, in nature somehow. 6. You enjoy and have a keen interest in gardening. 7. You have an understanding of, and interest in, the main global environmental issues. 8. You keep reasonably informed about developments in astronomy, the origins of the universe and the evolution of life. 9. You are interested in social issues, psychology and human motivations. 10. You consider that conservation of resources and achieving sustainable growth are two of the biggest issues of our times. Compare the totals from all eight intelligences and you will readily see your greatest strengths and weaknesses. The higher your score, the more you favor that particular intelligence. Knowing and understanding more about your own diversity within the Multiple Intelligences field, is really a big plus! 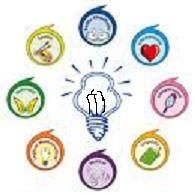 Visit our other pages where all the intelligences are fully described. Left Brain thinking is here!